Wow. This is a first for me. I have had a hurricane named after me! I like to think that it is because of my strength and my impressive power. I like to think that it is because people see me as a force of nature, to be viewed with awe and reverence. Someone to be remembered, you know? What an awe inspiring little daydream, huh? The only problem is, this particular hurricane is kind of wimpy. She is being described as “disorganized”, “weak”, “disintegrating.” She’s mostly a big bag of wind. Lotta noise, but no real threat. They say she’s “messy”. Its as if those weather guys are spying in my window. As if they’ve been hanging around my classroom, watching me struggle with decimal grids. On the other hand, this morning the headline on the Weather Channel read, “Karen moves toward the coast.” Yeah. I wish! Many thanks to my good friend, Karen Ricker, who came up with idea on Facebook this morning. Sorry, Karen, it was too good not to steal! Ha ha….I thought of exactly the same thing when I heard the news this morning! Rats. Now we have to wait 50 years or something. Karen, enjoy your moment in the sun . . . oops, I mean rain and wind! This week I found out about a website named after me: Lynda.com — “a trusted source for knowledge”. Not bad, huh?! You win this round! Better to be a trusted source for knowledge than a weak, messy non-threat. sigh. I’ll see your Karen and raise you a Katrina…. now YOU are a force of nature!!!! No fair. 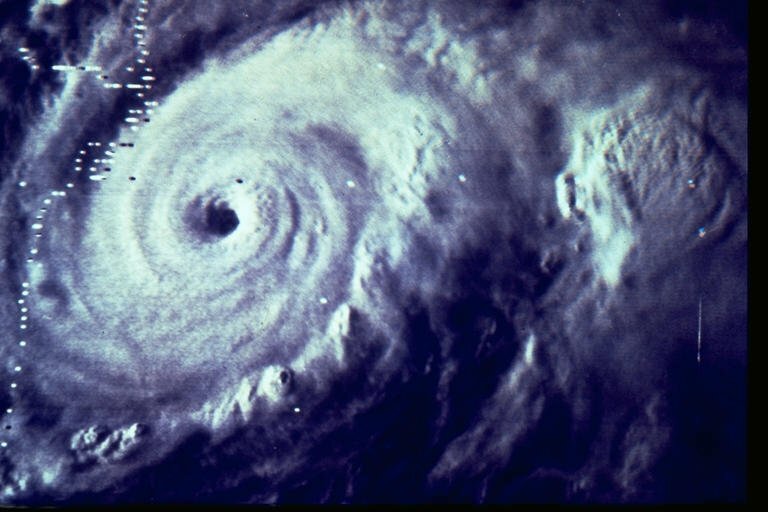 My brother, Bob, had a hurricane named after him in 1985. It fizzled — and the headline in his local Florida newspaper read: BOB IS A WIMP! I hope that you are a wimp, too, Karen! And I had a student named Katrina the year of that storm; she was so upset, and truly felt guilty about it. Changed her name to Kat. I’ve waited my whole life to have a storm named after me! But I can’t dare say that I want it to be a doozy so I’ll just take having one named after me. Though I’m not sure I like all this “bag of wind” business. I think that’s a little personal. 😉 Great post! Well, I will never have one named after me I am sure. Really, Mom, that would be a VERY bad year!!! !